Add Night Vision to your Everyday Airgun!!! 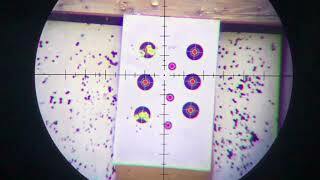 AirgunProShop has fully embraced what Big Bore Airgunning is all about and that is taking big game with airguns. We’ve teamed up with Michael over at 3D Night Vision to take our Gamo TC45 out and get some great footage showing what this gun can do. In this video, Michael takes the Gamo TC45, a 350 Grain bullet from Hunters Supply, and drops a 100+ pound hog right where she stands. And, he does it using his slip-on Night Vision Scope. This is a great video showing exactly what Aiguns CAN do when used properly. Man, It’s an AWESOME time to be an AIRGUNNER! We also offer products from a variety of vendors and manufactures that are just really good products. Air Arms, Gamo, Winchester, Hawke, Daystate, Evanix, Air Venturi, Sam Yang, EPOX, etc., all have some great airguns and airgun accessories. Our continued goal is to provide our value-added expertise in helping our customers navigate the plethora of options and create the right mix to meet their airgunning demands and the demands of their wallets. Do you have an airgun product or accessory that you would like to see listed on our site, please contact us via our site’s contact us page. Our videos are strictly for documentary, educational, and entertainment purposes only. Imitation or the use of any acts depicted in these videos is solely AT YOUR OWN RISK. Treat Airguns as FIREARMS and observe all the same safety considerations as such. Any and all work on airguns should be carried out by a qualified and insured individual. We (including YouTube) will not be held liable for any injury to yourself or damage to your airguns resulting from attempting anything shown in any our videos. These videos are free to watch and if anyone attempts to charge for this video notify us immediately. Links are provided to help viewers connect with products mentioned or used in our videos. PLEASE NOTE THAT WE DO NOT SELL ANY FIREARMS. Airgun Pro Shop, LLC. sells and supports airgun related products. Some airgun accessories can be utilized with firearms, however, we do not support or endorse any use outside of their originally indented purpose. By viewing or flagging this video you are acknowledging the above. Daystate Huntsman Regal XL – Product Demo!